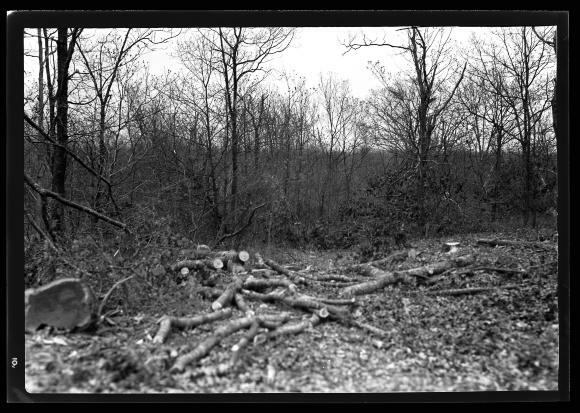 View of cut branches lying on the ground in woodland owned by the Gray Goose Gun Club in East Hampton, Suffolk County on Long Island. This is part of an effort by members to reduce the risk of a forest fire. This image was created to record the forest fire control activities of the New York State Conservation Department. Source: New York State Archives, New York (State). Conservation Dept. Photographic prints and negatives, [ca. 1904-1949], 14297-87, SARA No. 1798.